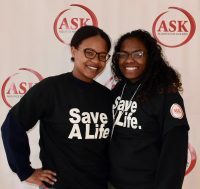 The Alliance for Safe Kids, Inc. (ASK) will be hosting its Ninth Annual Save A Life Forum on Sunday, March 3 from noon to 3 p.m. at Yorktown High School. Save A Life is a program designed to inform and empower high school students and adults to be community allies and first responders to support teens and families in crisis. As one of ASK’s leading programs, Save A Life has directly touched the lives of over 3,000 community members since 2010. Last year over 400 members of the community attended. This year’s Save A Life will feature John Morello, an actor, comedian, and nationally recognized author and speaker as this year’s Keynote Speaker. Morello is the creator of “Dirt,” a one man show that explores the challenges and decisions that young people face such as bullying, drugs, and self-esteem in a real and meaningful way that inspires people to take action and reflect upon the choices that they make in their daily lives. Through his portrayal of relatable and memorable characters, Morello gives a voice to those who feel they are not heard and reassurance to those who feel that they are not understood. In addition to this year’s Keynote Speaker, ASK will also host interactive workshops for high school students and adults separately. Some of the topics that will be covered for students will include: Managing Stress & Anxiety with Mindfulness, The Dating Game: Building Healthy Relationships, Vaping & E-Cigs: Get the Facts, Alcohol Poisoning & Drug Overdose, It’s Just a House Party: Q&A with the YPD, and Youth Mental Health. Adults will have the opportunity to participate in two workshops. The first will be a Hidden In Plain Sight exhibit that will depict the various ways teens conceal substance use or subtly show that they may be experimenting, with several substance abuse prevention specialists on hand to provide information and answer questions. The second workshop will focus on Understanding & Supporting Youth Mental Health, led by Randi Silverman, founder of the Youth Mental Health Project. ASK’s major source of funding expired last year and the support of businesses and individuals is crucial to the sustainability of the Save A Life program. Save A Life is FREE for all to attend thanks to sponsorships. Any businesses and individuals interested in sponsoring this community event should contact Liz Talbert at Alliance for Safe Kids at 914-736-1450 or via e-mail at Liz@allianceforsafekids.org. By devoting just one Sunday afternoon – a single afternoon of your life – YOU can take the first steps towards making healthier decisions and possibly saving someone in need. To register, or for more information, please visit: www.allianceforsafekids.org/savealife.